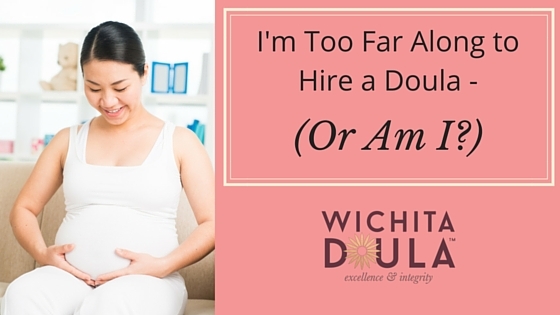 I'm Too Far Along to Hire a Doula...Or Am I? “I think I'm in early labor and I'm starting to wish I had a doula after all – but it's definitely too late to hire one now”. whether those two pink lines have just shown up, or you're headed to the hospital right now. Planning and scheduling can certainly be easier to take care of when done ahead of time, but we recognize that a doula can still be a valuable asset to a new family even on short notice and will always do our best to try to accommodate these requests. I'm Having a C-Section - Why Would I Need a Doula? I Don't Want a Doula Because I Want My Birth to Be PRIVATE!